The former Celtic coach is bringing his new Lamontville Golden Arrows outfit to the Dr Molemela Stadium for an Absa Premiership clash today (3.30pm). Komphela left Phunya Sele Sele last month after performing surprisingly well given the circumstances at the cash-strapped club. The 51-year-old coach kept Celtic among the front runners in the PSL during his six month stay at the Bloemfontein-based club. But Komphela’s departure doesn’t seem to have impacted on Celtic’s performances thus far, as they dispatched struggling Chippa United 1-0 in their last game at the Sisa Dukashe Stadium under co-interim coaches Lehlohonolo Seema and John Maduka. Mabaso, who has played 14 times this season and found the back of the net on five occasions, says they will make things difficult for Komphela and his charges. “It’s going to be a tough game. He [Komphela] knows how we play and we know how he likes to set up his team,” said Mabaso. “Unfortunately, he had to leave, but these things happen in football. “We just need to keep working hard in order to reach our target. “We have coach Seema and coach Maduka now. They are club legends who command respect in the dressing room,” Mabaso added. 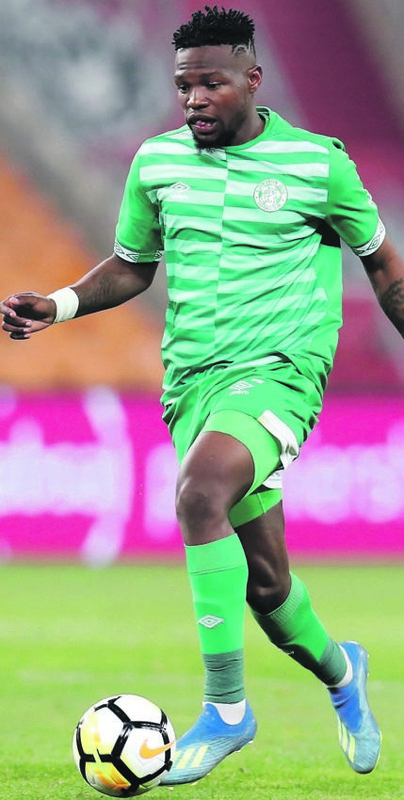 Celtic’s well-documentedoff-the-field troubles have led to fans reportedly planning a boycott of the game to raise their discontent with Siwelele’s management. Komphela’s leaked resignation letter, detailed issues he struggled with while at the club. The coach, who has hit the ground running with Abafana Besthende after beating Maritzburg United 2-0 in his first game in charge, said his Celtic return would be emotional. “I just want to go past this match. I don’t want to be emotional, but I have to be there and be professional,” he said. “It’s going to be an interesting match. It’ll serve as a mirror – you’re looking at the mirror and you see yourself. But you don’t want to see yourself. “I’m looking forward to this one,” the coach insisted.